We thought it would be a great idea to showcase your project that involve the use of DHTMLX Scheduler .NET. All we need is description of your application that uses our web control, and we will publish it on our website. How can you benefit from sending us a case study? 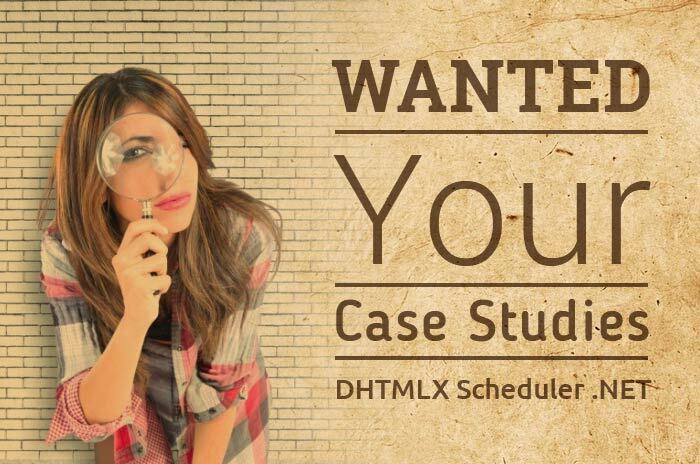 If you need any assistance with the case study or require more time to prepare your case study, send your email to schedulernet[at]dhtmlx[dot]com.